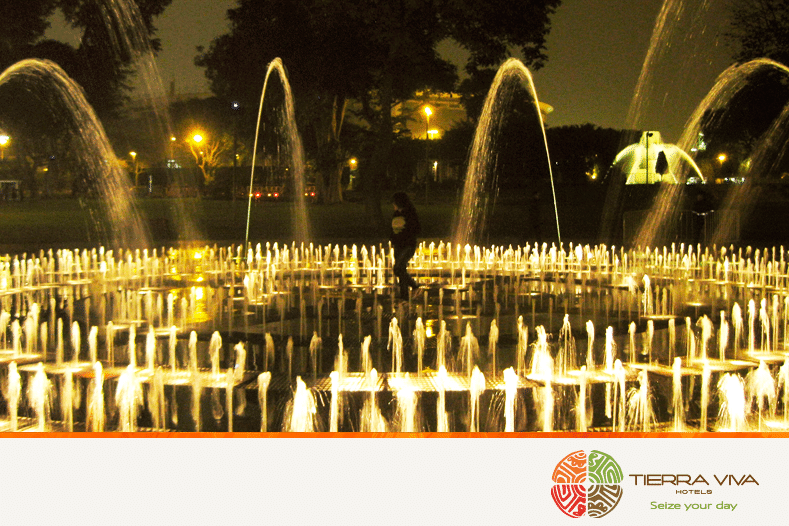 Among the crowded Arequipa and Paseo de la República avenues in Lima is located the Parque de la Reserva, better known as Water Park or Magic Water Circuit, a place where locals and tourists who visit our capital can escape the racket of the city and enjoy a unique experience. What makes this park such a special place? The first thing is that, with five traditionaland thirteen cybernetic (controlled through a computer) fountains, the Water Park holds the Guinness record for being the largest fountain set in the world located in a public park. On the other hand, when night falls, the Water Park begins with its light and sound show. With 120 meters long and more than 20 meters wide, the Fantasy Fountain is the stage in which a hydraulic choreography is performed. 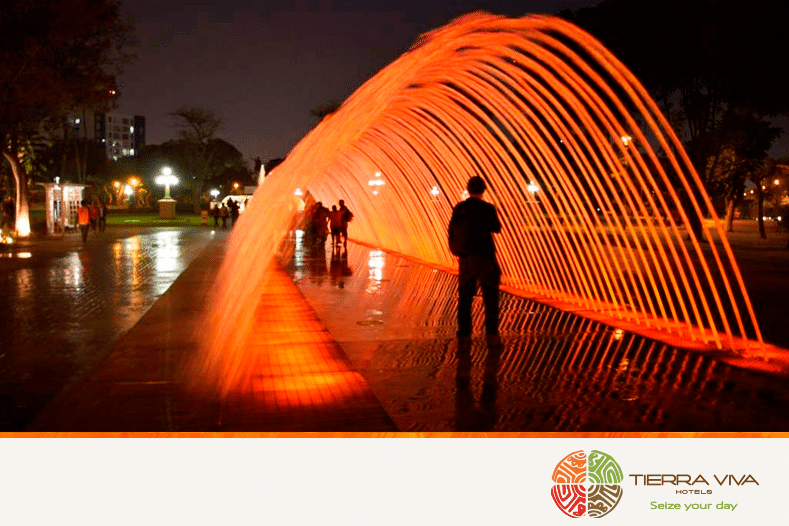 It synchronizes the movement of water, color and music. Thus, the water from this fountain becomes a large screen on which images of Peru are projected accompanied by Peruvian music. Although the Water Park is open throughout the year, this is the perfect place to visit during the summer days of Lima (December through March). And it does not matter your age: you can go with your friends or with your children, and anybody can be part of the fun offered by the park and go into the fountains, where you can interact with the water as well as refresh yourself in a fun way. 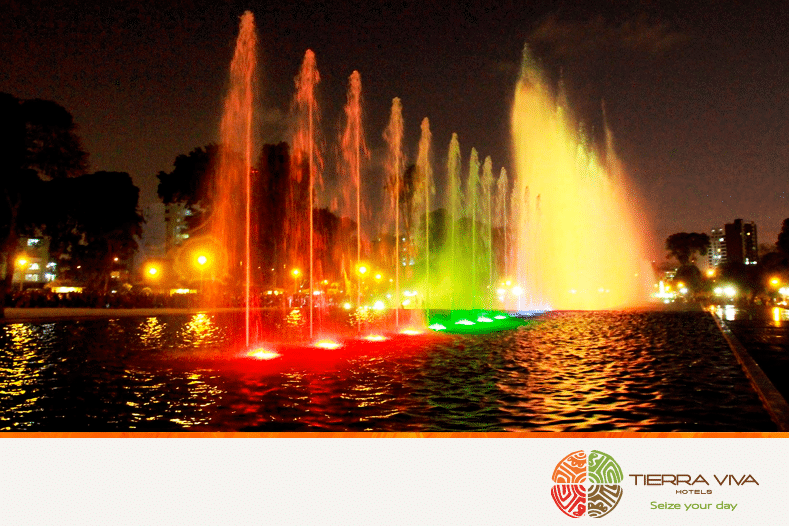 The Water Park is located halfway between our Miraflores hotels and downtown Lima. If you want to go by public transport, the best way is to take the Corredor Azul, a bus that goes through Miraflores and reaches the center of the city through Arequipa Avenue. You will have to get off at the junction of this avenue with Jirón Ramón Danigno. The price of the Corredor Azul is S/ 1.50 (around US$ 0.50) and it only allows payment in cash. If you prefer to get to this Water Park by taxi, the price from Miraflores is around S/ 10 (US$ 3). We recommend you that whenever you move around Lima you do it with a taxi app (Uber, TaxiBeat, Cabify…); it is much safer and the price is very similar to that of the taxis you find in the Lima street. The Water Park opens from Tuesday to Sunday from 3:00 p.m. to 10:30 p.m., while the light show begins everyday in these three different schedules: 7:15 p. m., 8:15 p. m. and 9:30 p. m.
The entrance price is S/4 (US$ 1.20), with 50% discount for disabled people and free for children under 5 and adults over 65. 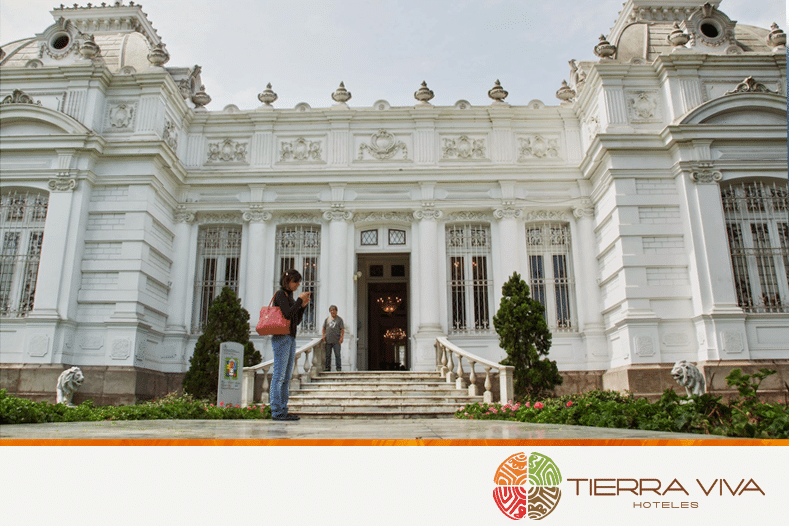 If you want to explore Lima and discover such entertaining places as the Water Park, we wait for you in our hotels in Miraflores, a safe and comfortable district in which to enjoy the best holidays. 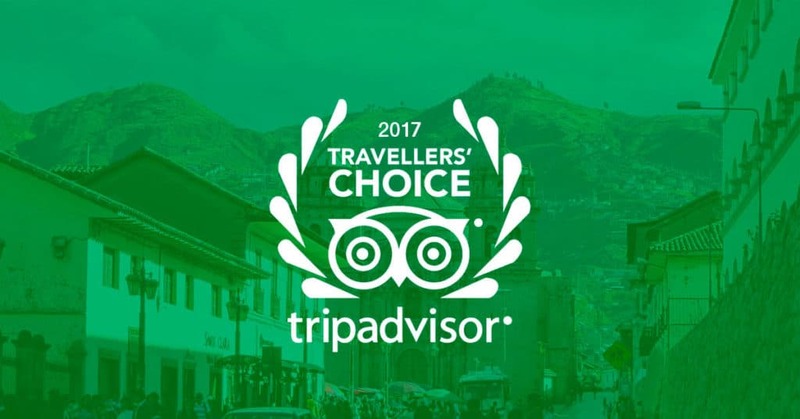 Discover our hotels and rates at https://tierravivahoteles.com/peru/lima.